An abstract illustration of a cup of coffee from our collection of coffee wall art stickers to decorate any space such as your kitchen or coffee shop. 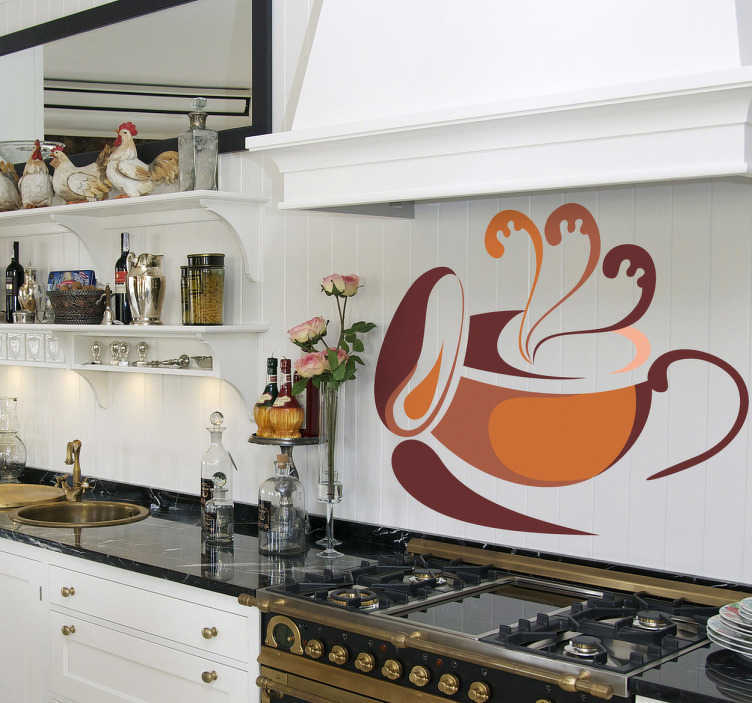 A fantastic coffee decal with brown tones and shades. Ideal for cafés and restaurants. Available in various sizes. Decals made from high quality vinyl. Easy to apply and if needed easily removable. Also suitable for decorating furniture, windows, appliances, devices and more.